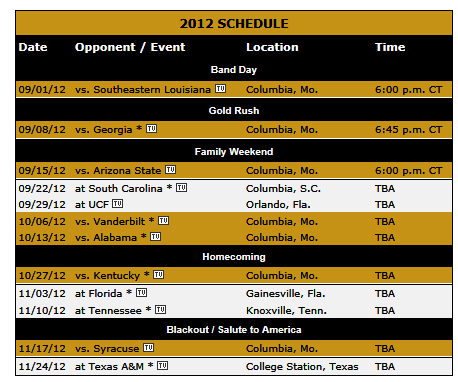 Here is the schedule for mizzou football this year. Go SEC. Boys want to go to a game so we are trying to find a weekend that workds. This entry was posted in Sports and tagged mizzou tiger football.